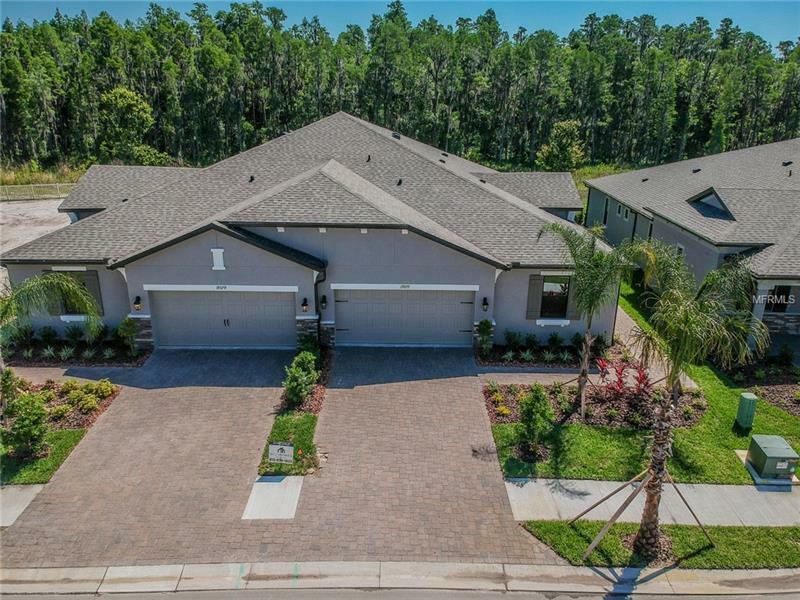 The Villas at Hawk Valley is a tranquil gated community within Kbar Ranch in New Tampa. This Campania Model features 2 master bedrooms and 2 ½ baths. Your Gourmet Kitchen is complete with white 42 inch cabinets and quartz countertops and double ovens. The home also comes with stainless steel appliances, tray ceilings and French doors leading to your spacious lanai. Community is located minutes away from schools, shopping and hospitals. Come visit us today!